It seems like Reliance Jio users aren’t too keen on subscribing to the operator's Prime Membership. According to a report by ET Now, only 16 million users have signed up for the offer. The report also notes that the operator has added 20 million new customers over the course of the month, meaning that the operator has a total subscriber base of 120 million. So roughly 13 percent of Jio’s total subscribers have opted for Prime Membership. However, the telecom has responded to the report stating that the mentioned numbers are way off the mark. This isn’t the first report which claims that Jio isn’t getting much takers for its new subscription plan. A few days ago, a report by Telecom Analysis stated that 22 to 27 million users had subscribed to the program so far. It further added that the operator was planning on extending final subscription date of program by a month. 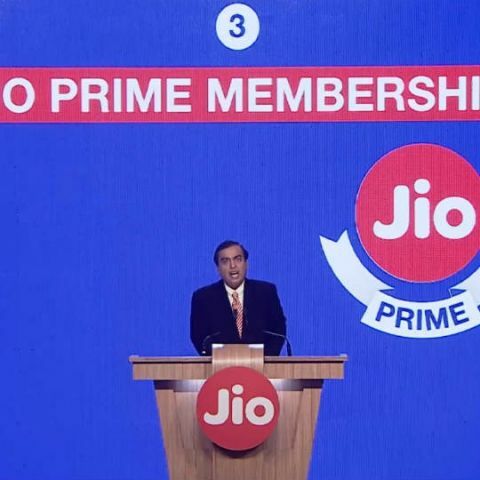 This information is contrary to a survey conducted by Bank of America Merrill Lynch, which stated that 84% of Jio users plan on subscribing to the Prime Membership plan. The last day for subscribing to the offer is tomorrow and only then shall we know if Jio has managed to convert enough of its users to the Prime Membership program, or if it will choose to extend the deadline.